I hope you had a chance to relax and gather yourself during the Easter break for what is a really enjoyable period of the school year but also one that includes quite a few testing (sic) events. 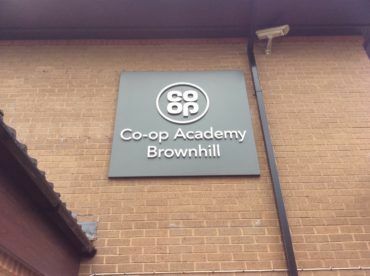 I didn’t send a Director’s letter to you prior to the Easter break because I was awaiting an announcement from the Co-op regarding a significant injection of funds to support an academy growth strategy. You may have seen in the news and in various journals and newspapers that the Co-op has agreed to provide financial support to the tune of £3.6m for our growth strategy over the next four years. All being well the Trust will grow to around 40 academies by 2022. This is fantastic news and a tribute to the achievements of the Trust (and that is you!) since its inception in 2010. The funds will enable us to establish the small acquisitions and development team that will oversee much of the growth strategy. A few important appointments will be made in the next few months. In addition, we need to look very carefully at all aspects of the central trust to ensure it has the right level of resource and capabilities for the future. Throughout all of the change we will continue to focus all available resource on your academy and this will allow us to provide an even better professional development programme (that includes teaching and non-teaching staff). Our Trust has achieved a lot and many of our children have a better start in life because of our efforts but we need to do even better focusing on attainment levels. I made this point clear when I spoke to you all at the various ‘Frank’s Roadshow’ events during the spring. (I still need to meet with staff at Co-op Academy Failsworth and Co-op Academy Brownhill). I am grateful to you for your support and encouragement during the ‘roadshow’. I have read all of your notes (if there are any still out there that need to be sent through, it is not too late). The Trust Board is currently reviewing its effectiveness and I am sure we will see some step down and others join. In early autumn they will review the Trust’s strategic plan and I will ensure your thoughts, ideas and comments are included. If you are interested in gaining a better understanding of the linkages between our Trust and the Co-op now and in the future you can get a decent view through watching the Youtube film Russell Gill (Chair of the Trust Board) and I made recently. Brownhill Ofsted and Manchester Ofsted. 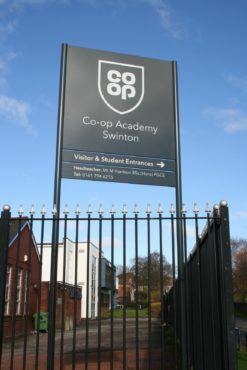 On 1 March, Co-op Academy Swinton joined the Trust as its 12th member. The Trust has been supporting the academy for quite a while and had their induction at Co-op Headquarters and The Federation Building on 16 April. I am delighted James Barron, Head of IT for Co-operative Legal Services has taken on the important chair of governors role. The academy has faced some financial difficulties in the past but these have now been resolved and are pleasingly assisted by the local authority seeking approval to admit significantly more students than expected in September 2018. The new signage for the academy has been installed recently and I think it looks great. I was impressed with the very positive response from staff during their induction event and their willingness to embrace the values and principles of our trust. In addition, a number of the primary academies in Leeds have had their signs amended to fit the revised branding. They also look fantastic. I am pleased to announce that ‘Achieve’, a centre for children with emotional and social issues that is housed at Co-op Academy Woodlands will have a more permanent home there. It was located at the academy last year when it was under threat of being made homeless through the relocation of Shakespeare Primary School, a local primary. 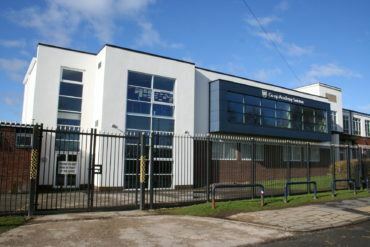 It is important provision for some of the most vulnerable children at our East Leeds academies and the agreement we have reached with Leeds CC provides a mechanism for improving the quality of provision, the condition of our existing building as well as securing some strong senior leadership for the academy. The formal transfer is likely to occur by September. We continue to play an important role in the community in East Leeds. We have now reached the point in the year where the final predictions for end of Key Stage 2 and End of Key Stage 4 outcomes in our academies have been shared with the Trust. There is some nervousness around but we all need to brace ourselves and go for the final effort with everything we can muster. With important assessments taking place in other year groups it remains a busy time for many. Most of you will be aware that in 2017 the Trust established the role of a Co-Co (Co-operative Co-ordinator) in each academy. The funding for this was provided by the central trust. It has been agreed that this role will continue with funding again being provided by the Trust. 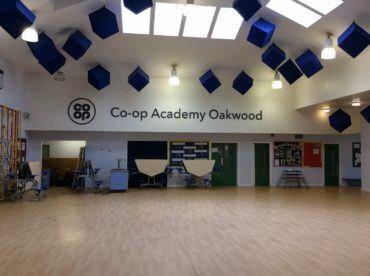 The Co-Cos have been a fantastic vehicle for embedding co-operative values and principles, as well as The Ways of Being Co-op into the academies. I am in awe at what has been achieved. They have truly ‘punched above their weight’. Your headteacher or Principal will communicate to you what this means for your academy but I am delighted that we have been able to fund this work going forward. Many of you have benefited from the programme of subject and phase events that the Trust has offered in recent years. Many of these have taken place at 1 Angel Square and it has been a privilege to meet so many of you during these courses. As we grow in the number of academies the available space at 1 Angel Square will be a challenge so we are beginning to consider some alternatives. I am keen to try and preserve some at 1AS because it is such an iconic building and oozes aspiration and high expectations. I remain committed to trying to establish a non-teaching programme of training and development. I am aware that Juliet Caunt, Head of HR is in discussions with institutions to help create a feasible adult apprenticeship programme. A key colleague in establishing and managing the CPD programme has been Tony Stephens. Tony initially joined the Trust as a school improvement manager and then moved into data and CPD provision. His contribution and down to earth honesty have had a strong and positive impact. Tony has decided to step away from the Trust in the summer. I use the term ‘stepping away’ because I suspect he won’t be retiring fully. I will ensure that we acknowledge his contribution to the Trust in an appropriate way in late summer and will also ask that we are kept on his mailing list for the excellent and high valued Education Summary that he issues to over 30k educationalists regularly. During the past few months we have been reviewing the CPD arrangements including our subject and phase consultant requirements for 2018-2019. We have also needed to reflect on how we will service high quality CPD through the Trust with many new academies joining. With this in mind we have reviewed the use of IRIS, a video technology system that allows individual staff to video their work and share it with others, if they wish. It is currently in use in about half of our academies. It isn’t used for any performance management activities and is controlled completely by the personal user. We intend asking all academies to appoint an IRIS ambassador from September 2018. This post will carry responsibility for the successful rollout of the technology to all of our existing academies. It is our intention to make this technology a requirement for all future academies joining the Trust. Funds for this will be taken from their conversion grants. As our Trust grows in size we need to be more cost effective and ‘agile’ in how we share best practice between academies and their staff; IRIS should enable this to happen. We still intend using the highest quality consultants we can muster and these will be available for academies. You may have seen articles in the press about the introduction of an apprenticeship levy last year. The levy equates to paying into a mandatory ‘savings pot’ which we can then draw on to pay the training & assessment fees of Trust colleagues who are studying for an apprenticeship. The levy pot does not pay for an apprentice’s salary, this must be found from the school budget in the same way as the salary for any other colleague. Therefore, apprenticeships will most likely, but not exclusively, be used to provide development for current colleagues, or to fill roles when they become vacant. Apprentices are expected to spend 20% of their time on off-the-job learning, which could be at college and/or within the workplace. The Trust, and our sponsor the Co-op, support the idea of apprenticeships as a recruitment & career development pathway – both for colleagues and our students. At present we have a small number of apprentices across the Trust; but are keen to see this expand as suitable opportunities become available. We were also delighted that a number of our former students secured apprenticeship places with Co-op Insurance when they left school last summer. The Co-op is seeking views from its members on how to make the Co-op Apprenticeship Programme the best it can be. The views of Trust colleagues who are members are keenly sought in this consultation. This link explains the Co-op’s commitment and how you can share your views and ideas. Overall 77.6% of the Trust’s workforce are female. The Trust believes that male & female staff are paid the same for doing the same work. This report highlights, however, that across the Trust female staff are more likely to work in in lower paid roles (91.5%) than in higher paid roles (66.5%). Further work is being undertaken to drill down in to the data, and to consider ways in which the gender pay gap could be narrowed. I should point out, on a personal level, that my wife and I discussed how we would manage our childcare arrangements for our three children and she decided she wanted to reduce her hours so that we would only require child care for two-three days a week. This did affect her career trajectory but she remains content with the decision. Our Trust’s analysis of the data and our actions need to preserve flexibility for staff and we also need to be mindful of the impact of reducing hours for childcare duties may have on career opportunities. Thank you to the 80-90% of you who responded to this year’s Foretel survey. This is important evidence to help us gauge the level of engagement and culture in each academy. The results are not shared as a league table but each academy is asked to review the findings, share them with the staff, parents/carers and in secondary academies, the students. In addition, they are asked to produce a series of actions to address any significant concerns. At the recent Headteacher/Principal Forum meeting all academies shared their findings and discussed any common themes. The materials to be used to share the findings were also shared. I have provided a paper of the Trust-wide findings for the Trust Board. I have included here the headlines from the staff responses. Further work is going into the workload issue for teachers but before we embark on a revisit to the issue by the previous working party I want to garner a better understanding of the impact of the work have undertaken already. I will share this in the next Director’s letter. Secondary staff return rate up by just over 11% to over 84%. The highest response rate ever. Co-op Academy Leeds response rate rose by 21% and MCMA by 11% respectively. Primary staff return rate up by 10% to over 90%. Oakwood’s return rate rose by nearly 30%! Teaching staff saw workload as the most important issue but all other groups of staff gave this much lower priority with leaders making this their second lowest priority area. The summary analysis does not include Co-op Academy Beckfield responses unless specifically referred to. Workload was identified as the most important area of a teachers’ job whereas this featured much less highly for all other staff including those with leadership roles. Each academy has been asked to share the findings with the various stakeholders. In addition, they have identified the key areas that require improvement. These areas will be tackled at an academy level. The Education Directors will be discussing the outcomes of the Foretel surveys at their summer meetings with the headteachers/Principals. With regard to the workload issue that was identified by some teachers, each headteacher/Principal has been asked to report on what has been undertaken to address concerns about workload and what is planned for implementation. Once this has been received, I will ask each academy to nominate one colleague to join a refreshed Workload Group that I will chair. More details of this will follow in due course. Clearly, much of the recent Trust Board meeting considered the Trust’s growth strategy and the good news about the Co-op’s financial support. In addition, the following matters were discussed and decisions made. Following the postponement due to bad weather in late February, the Trust is looking forward to celebrating the fantastic work that takes place in our academies on Monday 30 April at 1 Angel Square. Many of our staff are now members of the Co-op. As members you have a say in how the business is run. Eligible Members can vote on motions, attend the Co-op AGM and elect Member Nominated Directors and council representatives. Eligibility to vote at the AGM (use the link to find out if you are eligible) is based on a 12 month cycle starting in January each year, some exclusions apply. A number of staff and students attended last year’s event and the Trust was big news; the students were brilliant. This year we will have an even stronger presence including pupils and students performing for the members. You are free to come along and if you qualify you can enter the main conference hall with your electronic device to vote on the various issues. Following the announcement of the Co-op’s investment in the Trust and the news of its annual financial statement we were hot news for a couple of days. The Co-op’s stats team believe that over 10.5 million people were reached. Fantastic news.